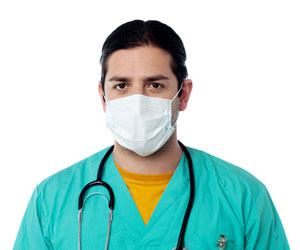 Most often, the use of a Level III face mask is associated with infectious diseases, ranging from ebola to AIDS. While Richmond Dental’s highly regarded Level III Path-O-Guard™ Face Masks certainly serve as effective barriers for these serious diseases, they can also help during one of the most trying times of the year: flu season. From dental and medical facilities to schools, this is normally when the flu starts rearing its ugly head. Our Level III Path-O-Guard™ Face Masks give you the chance to limit the spread of these viruses, ranging from various flu types to the dreaded norovirus. Whether you are a medical or dental professional who feels like they are coming down with a cold, or have to treat a patient who isn’t feeling well, these masks can come in handy—and keep you healthy. These face masks are also available in three colors: blue, pink, and lavender. At Richmond Dental we’re always focused on enhancing your experience, and in the case of our face masks, on protecting your—and your patients’—health.